Approved for Veterans Benefits. Go to: Chapter 30 (Active Duty GI Bill) Pamphlet or Call 1-800-960-6294 for more information! Welcome to the National Personal Training Institute of Illinois where you can get quality professional development through hands on experience in the gym. 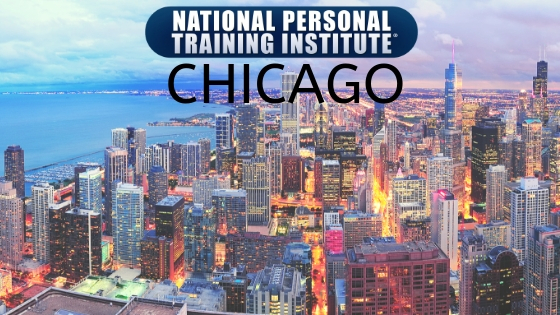 At the National Personal Training Institute in Chicago, IL, we will help you build your body and personal training skills while showing you how to build your business as a professional personal training instructor. The National Personal Training Institute of Chicago is located in the heart of the East Loop housed inside Lakeshore Sport & Fitness (LSF). LSF features over 120,000 square feet of health, wellness, and sports facilities. You will be working with some of the best fitness, cardio, and free weight training equipment found anywhere in the city, enabling you to learn and train to become a personal trainer. 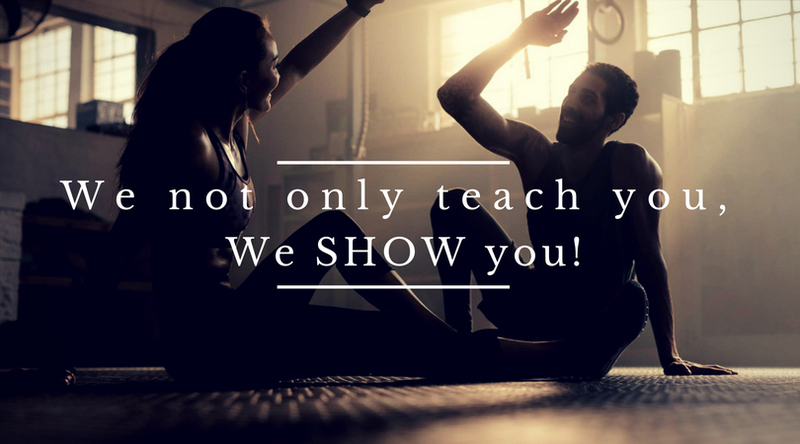 You will be learning from highly skilled and supportive personal fitness training instructors that have years of real-world experience in a wide variety of fitness settings. Over the course of the six-month program you’ll be taught new exercises and exercise techniques in structured workouts designed and overseen by National Personal Training Institute staff members. In addition, you will learn to design and implement a wide variety of exercise programs based on real-world case scenarios as well as how to incorporate a variety of tools and techniques into your fitness programming. We cover all of the bases from human physiology, anatomy, nutrition and diet to all of the aspects of starting and running your personal fitness business. The National Personal Training Institute has a class schedule to fit your life’s schedule with a 6 month program which allows you to choose between day classes or evening classes, or a 12 month program that consists of 2 nights a week or Saturdays. Not only can you expect flexible payment plans and financial assistance for those that qualify, the National Personal Training Institute in Chicago, IL is approved for the GI Bill for Veterans. For more information on this, go to the U.S. Department of Veterans Affairs or Call 1-800-960-6294. Upon graduation, you will be set to start your career as a certified personal trainer with a diploma that is highly respected throughout the fitness and health industry. We can even provide job placement assistance to get you started on the right path to a successful and rewarding career. Get fit and get started in a new career where you help others achieve fitness and health with an education at the National Personal Training Institute in Chicago, IL. Upon completion, you will receive a 1) 500 hour Illinois State Board of Education Personal Fitness Training Diploma, 2) Nutrition Certificate and your 3) CPR/AED and First Aid Certifications. We have become known throughout as the staple for creating the most successful personal trainers. Whether a seasoned pro or a first timer, we will help you get into the best shape of your life while earning a first-class education. Our classroom is the gym. How can you learn personal training otherwise? Our Diploma in Personal Training is considered by most as a higher and better qualification than a standard personal trainer certification. We are the oldest and largest personal training school in North America. You will be recognized across the world. Our personal trainer job placement assistance program is second to none and we continue to partner with you throughout your career. Online Continuing Education (CEUs) that allow freedom of online, self-paced learning with interactive videos to enhance your learning experience. Choose from the following start dates to begin your career as personal fitness trainer or to enhance your skills and gain continuing education credits.